Researchers at German aerospace research organisation DLR are testing a prototype of the new digital aeronautical radio standard, the L-band Digital Aeronautical Communications System, for the first time. Trials of the digital communications system on DLR’s Falcon research aircraft started at the end of March. 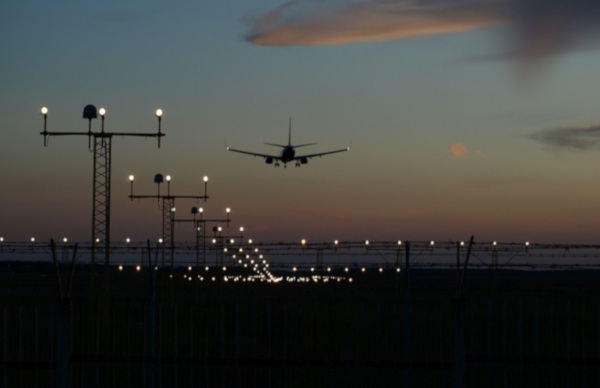 Air traffic controllers and pilots communicate using analogue radio, but the new L-band Digital Aeronautical Communications System (LDACS) enables high-quality voice communications as well as fast data exchange. Data exchanged in the future could include 4D trajectories, which track the time and speed of aircraft to track their progress and better manage their landings and takeoffs. The tests also include the use of an alternative navigation system for aviation, which determines the aircraft’s position using LDACS signals received by ground stations. The test flights will overfly four ground stations in Upper Bavaria. Michael Schnell, from the DLR Institute of Communications and Navigation in Oberpfaffenhofen, Germany, where the new technology has been undergoing development with external partners since 2007, said, “In principle, LDACS for aviation works in a similar way to mobile radio communications on the ground. The technology in the research project MICONAV (Migration towards Integrated COM/NAV Avionics) is being developed to flight maturity. The current test flights are using routes that overfly recently-established LDACS ground stations in Oberpfaffenhofen, Schwabmünchen, Peiting and Königsdorf in Germany. The researchers are testing for adequate data transmission speeds, smooth transitions between ground stations, and the range and accuracy of the navigation function. “Until now, we have just been testing all of this in the laboratory using models, and it is a great moment to finally see the technology becoming fully operational in the air,” said Schnell.